Hands up who saw this coming? 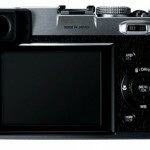 In an exciting new development, Fujifilm is really kicking off Photokina 2010 in style with the shiny new Fujifilm FinePix X100. What’s different about it? 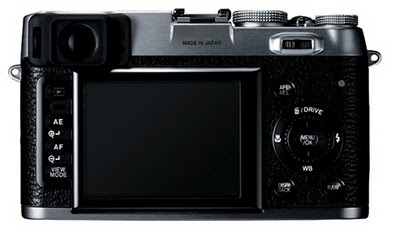 Well, it’s a digital rangefinder, something that Fuji’s not previously produced, and a complete side-step around the ‘hybrid’ camera market that has manufacturers in such a tizz at the moment. 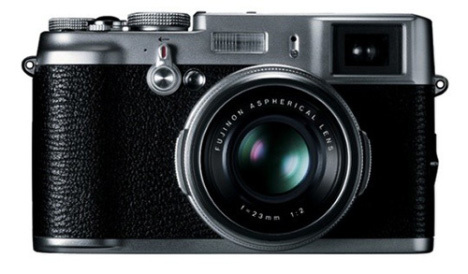 Discerning digital photographers won’t be able to help but notice the fact that the X100 emulates the striking design of that German classic: the Leica rangefinder, with its fixed lens, analogue controls and beautiful retro styling. 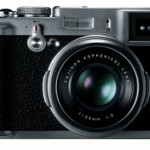 At its heart beats an APS-C sized 12MP CMOS sensor, coupled with a fast, fixed 23mm f2.0 lens. The viewfinder is also an interesting development, which Fuji states is a ‘hybrid optical/electronic viewfinder’ – I can’t wait to see how that performs! 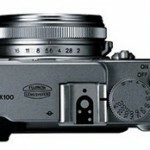 Features like this – plus the faster f2.0 lens, compared to the Leica’s f2.8 – are likely to push the X100 ahead of its main competitor: the Leica X1 once its released, but I’ll reserve judgement until I’ve seen it in the flesh – as you can see from my earlier Leica X1 review: http://tiny.cc/w27aq – it’s got a lot to live up to!